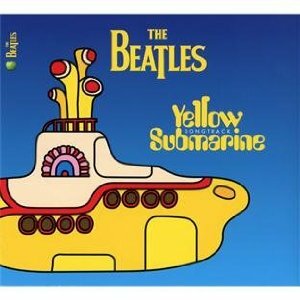 This shouldn’t be confused with the original Yellow Submarine album, which was about half Beatles songs (including “Hey Bulldog,” “It’s All Too Much,” “Only a Northern Song,” and “All Together Now”) and half orchestral music by producer George Martin for the film. Rather, this set includes all of the Beatle tunes that was in the movie but not on the soundtrack. But even without the pretense of the movie, Songtrack—which was recently reissued to tie in with the DVD release of Yellow Submarine the movie– is a wonderful capsule of the Beatles’ most artistic and creative period of ’65-’67 in the albums of Rubber Soul, Revolver, Sgt. Pepper and Magical Mystery Tour. Songtrack fills the void for those fans of the film who want all the songs from the movie in one package and recapture the good vibes from the film. (On a related, check out the newly-restored version of the film on DVD—it’s still charming and a visual stunner after nearly 45 years).